Order signed copies from Brazos Bookstore. “I was scared of a thing that might have happened. In daytime I’m sure it / never did. At night, I don’t trust daylit memories or instincts. In nightmares, like / filmstrips, the feared thing occurs.” In her second poetry collection, monsters real and imagined chase Houston Poet Laureate Gwendolyn Zepeda through late nights when she can t sleep. Ghosts routinely visit in the early morning hours, but in spite of her fears, she dares to believe that she has escaped the devils that once followed her. Musings on family, remembrances of childhood games and encounters with strangers (and ants!) 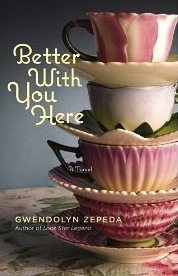 fill this clever, thought-provoking collection in which Zepeda dares to express her individuality. She knows that she is different, “Maybe I am a boy in drag. / Especially here, where I don’t feel like / everybody else.” She doesn’t follow others blindly or do what society expects of her. Readers will appreciate this second poetry collection, which is deeply personal yet universal in its hopes and fears. She’s an astute observer of people: her elders, full of bitterness; the stranger on the elevator, who exudes the smell of hate; the needy girl who’s broken and screams like a bird in her ear so that “I turn and slip away. I’ve/Had my fill. I’m in the water/Where it’s warm and deep and/She can’t follow./Goodbye. 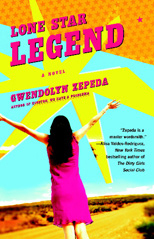 Good luck.” She’s compassionate and considerate, but Zepeda always chooses survival. 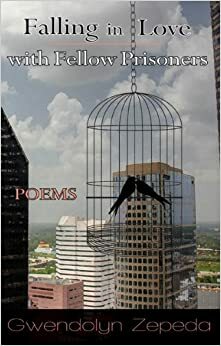 She has survived, even prospered, but her innermost fears still haunt her: “I like lying safe with you/Here in the dark, but still/Keep planning in case/I’m left alone.” Whether musing on dysfunctional relationships or parenthood, Gwendolyn Zepeda, the first Poet Laureate of Houston, captures the aching loneliness and vulnerability of contemporary urban life. If you ask her, Natasha Davila will tell you there’s nothing more important to her than her kids. She’ll do anything for her son and daughter-even play nice with her ex-husband. Only now she’s facing a problem she never expected: her ex is re-marrying and suing for full custody. She could fall to pieces . . . or she could call on her friends. There’s Sara, whose tough talk hides a soft-and loyal-heart, and Haley, who has so much more to offer than a pretty face. When they’re together, Natasha doesn’t have to be someone’s wife or someone’s mother. She can just be. When Natasha’s ex ups the ante and exposes some disturbing news about her friends, she’s forced to cut ties. But can she really walk away from the women who have been standing by her side? When Sandy Saavedra lands her dream job with the popular website ¡Latino Now!, she can’t wait to write hard-hitting pieces to combat all those stupid Latino stereotypes. While visions of Pulitzers dance in her head, her editor in chief is suddenly laid off, replaced by the infamous Dolores Villanueva O’Sullivan. Dolores has one mission: make ¡Latino Now! an internet phenomenon, no matter how many pandering puff pieces she has to pack onto its pages. Sandy doesn’t see how she can keep this job without losing her soul, especially when she’s sent to Middle-of-Nowhere Texas to investigate the dumbest legend her people ever created, the Chupacabra. She fears she’s about to fail an assignment-and lose her job-until she meets Tío Jaime, a grandfatherly hermit who might be crazy, or might be the best thing that ever happened to Sandy’s career. Jessica Luna is your typical 26 year old: she has man trouble, mom trouble, and not a clue what to do with her life (though everyone else in her family seems to have plenty of suggestions!) After a lifetime of being babied by her family, Jess is incapable of trusting herself to make the right choices. So instead, she bases all of her life decisions on signs. She looks to everything for guidance, from the direction her rearview-mirror-Virgin-de-Guadalupe sways to whatever Madame Hortensia, her psychic, sees in the cards. When her sort-of boyfriend Guillermo, a gifted unmotivated artist, disappoints her again, Jessica thinks it’s time to call it quits. Just to be sure, she checks in with Madame Hortensia who confirms that yes, it is time for a change. (Who knew $20 could buy so much security!) Right on cue, Jess meets Jonathan; he’s the complete opposite of Guillermo–of all Jess’s boyfriends, in fact. He’s successful, has a stable job….and is white. Jess isn’t sure if Jonathan is really the change Madame Hortensia saw. Sure he gives great career advice, but is he advising her on a career she actually wants? And yes he’s all about commitment, but is it Jess or her mother who really wants marriage? Jess runs back to Madame Hortensia for advice, but even she is out of answers. Now there’s only one thing that’s certain: no one–not her mother, her sister, her boyfriend or her psychic–can tell her what to do. For better or for worse, Jess will have to take the plunge and make her own decisions if she wants to have any future at all. Weaving her exploration of family life, love, the struggle for economic stability, and the search for a personal creative space, Zepeda’s brash voice cuts at society’s stereotypes, at once critiquing those around her and herself. Family, friends, and the unwitting strangers around her—no one is safe from her commentary. With dark, knife-in-the ribs humor and poignant glimpses of youth and early adulthood, Gwendolyn Zepeda’s first book is the literati’s version of television variety shows of the 1970s. 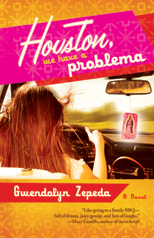 Chock full of sharp observations in a narrative that jumps from personal essay to a parody of romance novels to inventive fiction, this collection spans a wide range of themes: the complications of being a “half-white child of hippies born in Houston in 1971″ and raised in a largely Mexican barrio . . . “How to Be a Trailer Trash Housewife” . . . and a midnight dance with a giant cockroach.